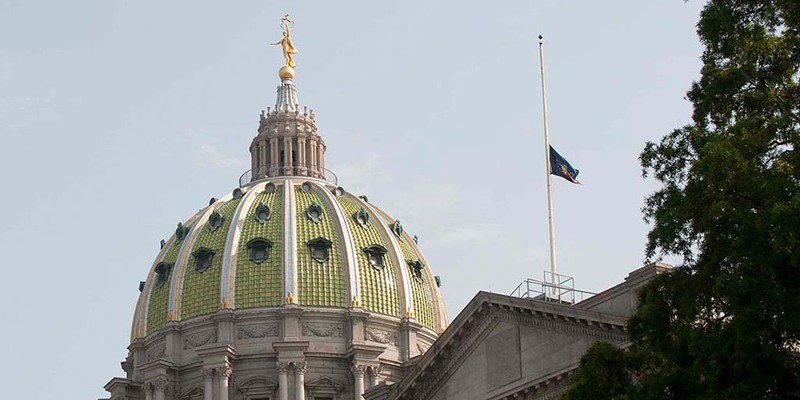 Harrisburg, PA – Governor Tom Wolf has ordered the Commonwealth flag at the Capitol Complex and throughout all public buildings and grounds throughout the state lowered to half-staff to honor the passing of Pennsylvania State Representative Sid Kavulich. Representative Sid Kavulich, 62, passed away Tuesday, October 16, 2018. He represented the 114th Legislative District from 2011 to 2018 in the Pennsylvania House of Representatives. The Commonwealth flag shall continue to be lowered due to previous order, through sunset on the day of interment. All Pennsylvanians are invited to participate in this tribute.